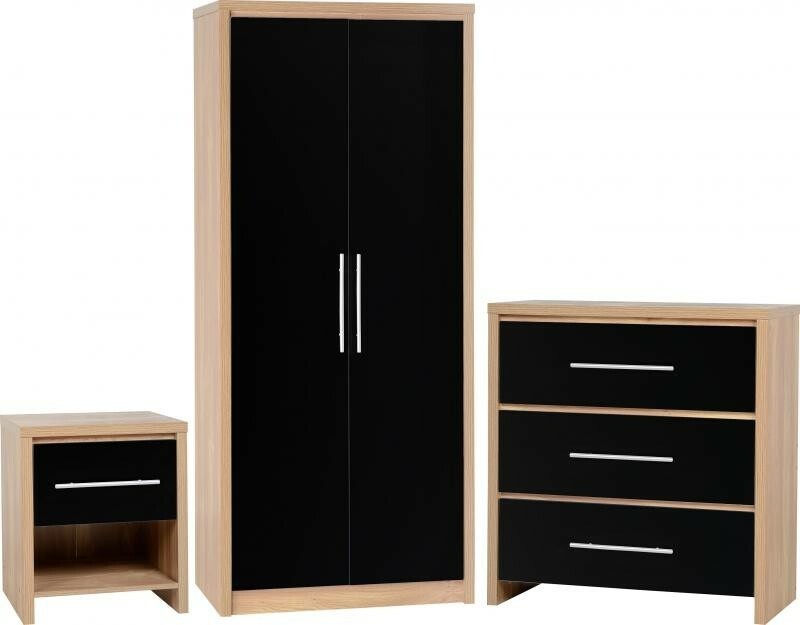 Super value Trio set.Two door robe, 3 drawer chest and a bedside cabinet.All finished with high gloss black fascias and light oak effect carcasses.FREE Express Delivery. 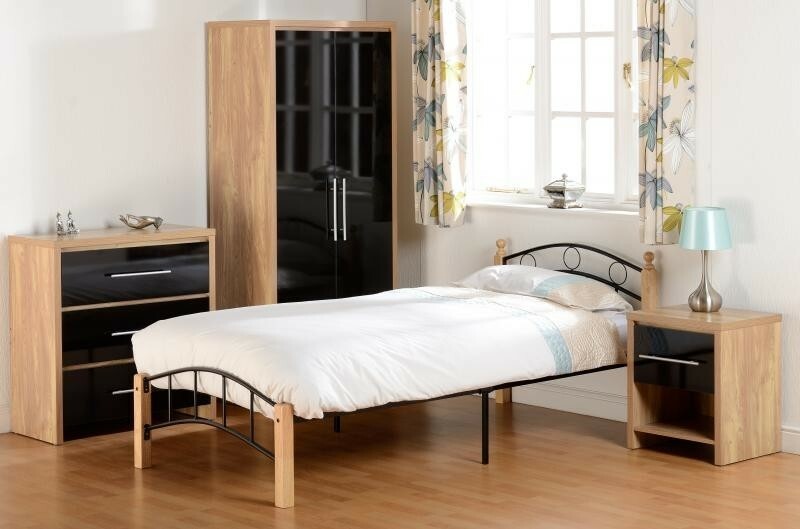 Trio set with oak effect carcass and high gloss black fascias. MDF backs and drawer bases.